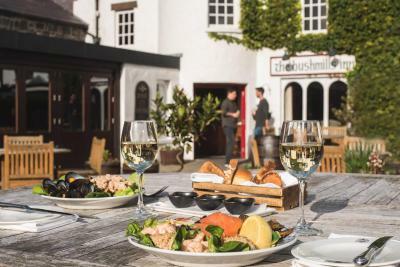 Lock in a great price for Bushmills Inn Hotel & Restaurant - rated 9.3 by recent guests. Very comfortable stay all round, fantastic breakfast! 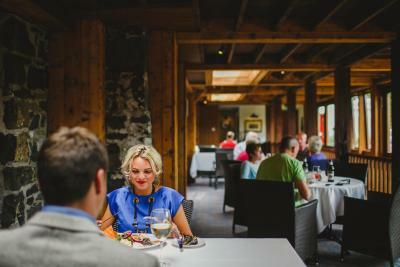 Super friendly staff, fantastic wine list with good dinner menu. Bushmills Distillery 10 minute walk. Giants Causeway, allow an hour each way of an enjoyable walk along the train line. Good surf on the local beach. 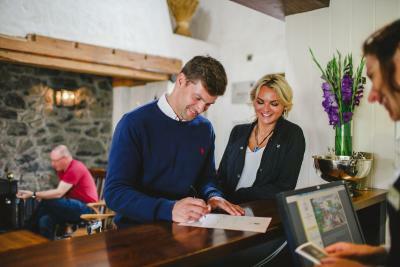 The Inn gave us a discount voucher for the Distillery. 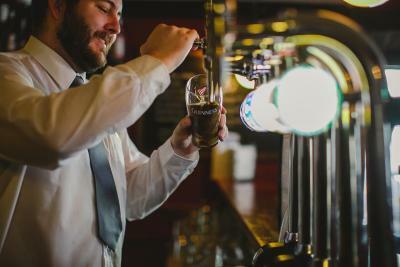 Don't miss out on the Seamus Heaney Homeplace experience about an hours drive back towards Dublin. 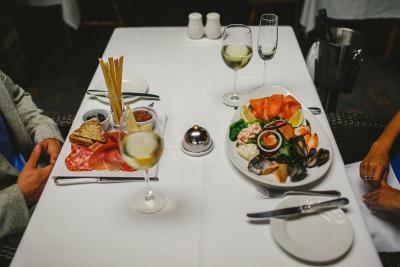 Brill room 108, everything extremely clean and comfortable, wonderful restaurant with great service and good food, (more fish on the menu would be very good), very friendly, welcoming bar with nice Sat evening entertainment. 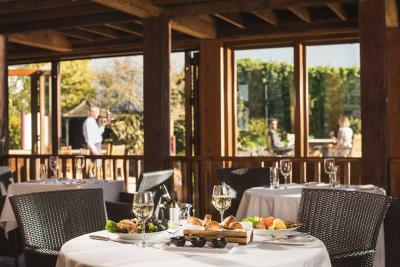 Locally sourced produce is used to create a wide selection of dishes in the award-winning restaurant. 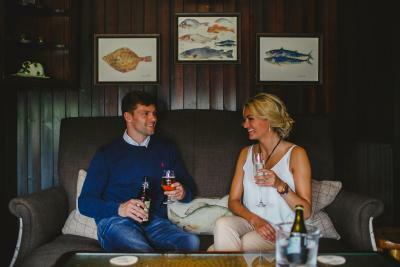 Mature prime Ulster sirloin of beef is on offer, as well as fish caught in local waters. 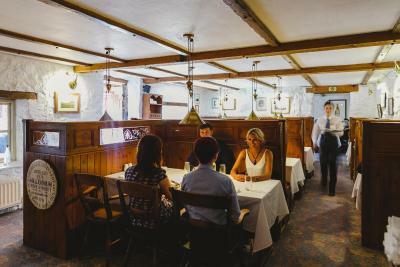 A Sunday carvery featuring a selection of roast meats and desserts is also available. 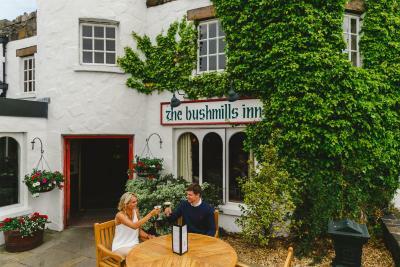 Bushmills Inn Hotel & Restaurant has been welcoming Booking.com guests since 17 Jun 2013. 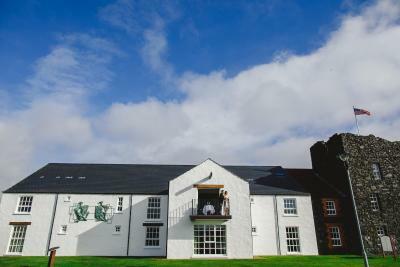 When would you like to stay at Bushmills Inn Hotel & Restaurant? 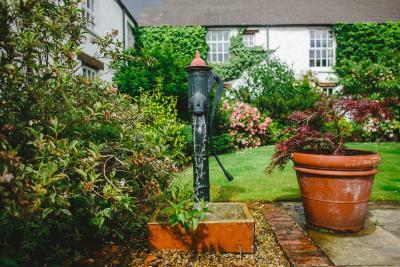 Cottage-style bedrooms reminiscent of the original 'Coaching Inn' with sitting room area. 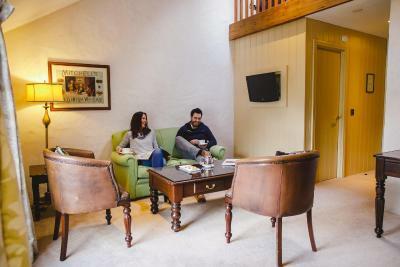 Facilities include free Wi-Fi, en suite bathroom and tea/coffee making facilities. 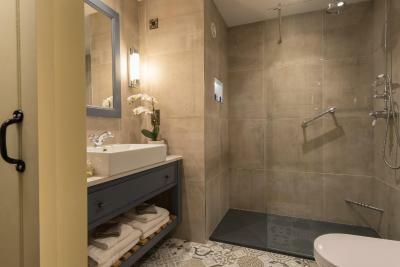 Free Wi-Fi, a flat-screen TV and an en suite bathroom with bath; most have a separate shower. 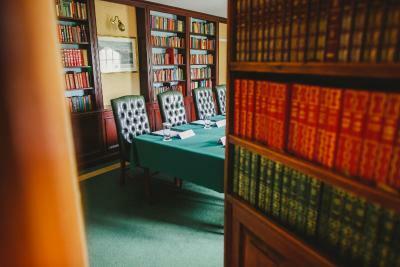 A separate dressing room is also provided, along with tea/coffee making facilities. These suites are split over 2 floors and include a large lounge area downstairs with furniture, sofas, and a flat-screen TV. A walk-in wardrobe and shower room are also provided. 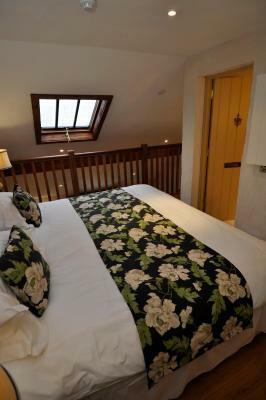 The upstairs sleeping area offers a king-size bed, flat-screen TV and an additional bathroom with a slipper bath. Free high-speed Wi-Fi is also available. 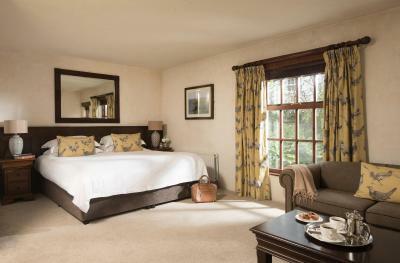 With views of the River Bush and the surrounding countryside, these suites feature four-poster beds. 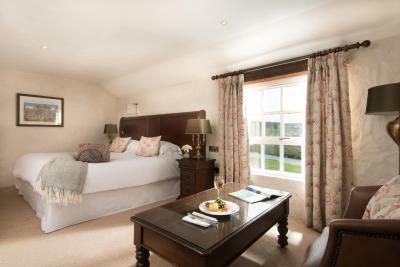 Ralph Lauren fabrics, sofas and free Wi-Fi are provided, along with a bathroom with free-standing bath, shower and Elemis toiletries. 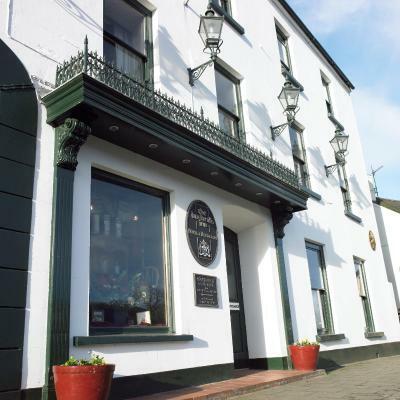 Award-winning 4 * Hotel on the Causeway Coast. 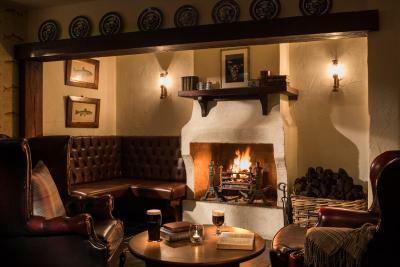 Each Guest Room is individually designed and complemented by our Restaurant, traditional Gas Bar and roaring peat fires, the Inn epitomises the true spirit of Ulster hospitality. 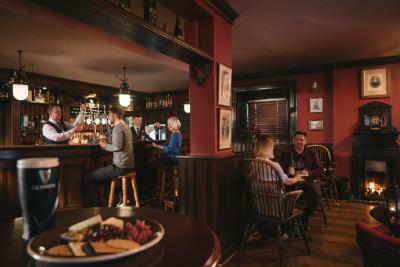 House rules Bushmills Inn Hotel & Restaurant takes special requests - add in the next step! Bushmills Inn Hotel &amp; Restaurant accepts these cards and reserves the right to temporarily hold an amount prior to arrival. 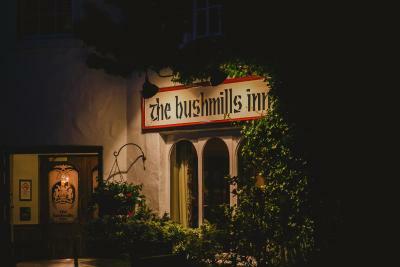 Bushmills Inn Hotel & Restaurant accepts these cards and reserves the right to temporarily hold an amount prior to arrival. Best hotel I have been in. Room was very comfortable, the courtyard lovely and dinner was very good. Despite being relatively quiet on the date I stayed, I found myself accommodated in a room overlooking the car park. Classic garden rooms were available, you are required to request this option. As I have never stay at this hotel previously, and unfortunately, not telepathic, I was unaware of this requirement. 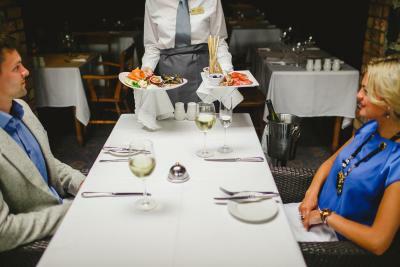 Generally, you hope that management would at any opportunity, like to increase the customer's experience in being accommodated in more pleasurable surrounds, rather than overlooking a car park. I had to upgrade to get this request change to a garden room. 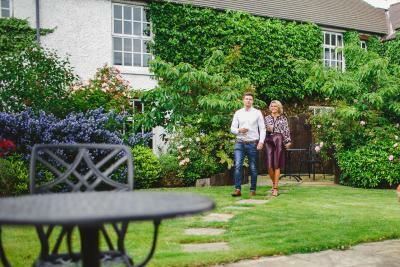 Only when I complained, was I informed that there were classic garden rooms available, but I was settled by then and annoyed with the situation to change. It appears 'Kerry' the duty manager that day, isn't at liberty to give her opinion, when I asked her what would her preference have been; over looking the car park or have a garden room, she refused to answer. Still waiting for an answer! So quiet and serene, beautiful setting to walk about and take in the sights. 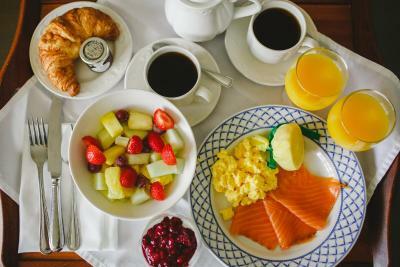 Breakfast was awesome. Had some Donegal Salmon and a poached egg, amazing bread and gluten free choices... Will be back!